I love to wear a scarf or shawl. Sometimes it's just a decoration, and sometimes I just need to be a bit warmer. A scarf does it for me. 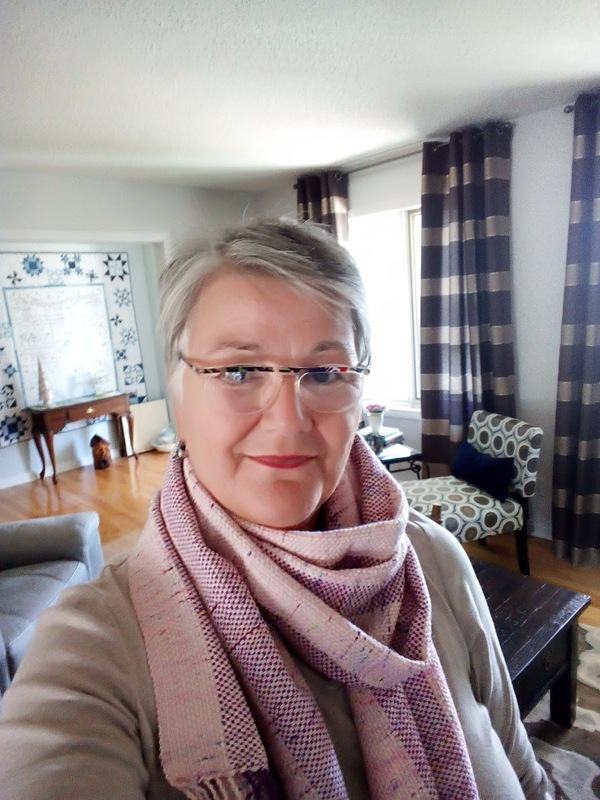 First, this is a beautiful woven scarf made by my niece Michele who lives in the UK. I bought it this winter and love the soft feel of it. I can't wait to wear it all next fall. This beautiful wool has been in my stash for a few years. I purchased it while on a river cruise in Europe. This scarf was a quick knit. 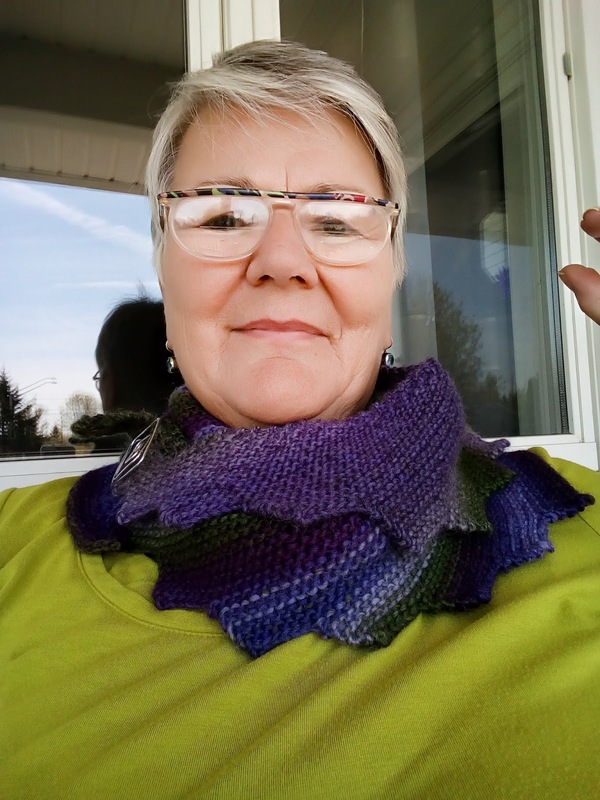 It's soft color change and the jagged edges just gives this easy shawl so much personality. It didn't take very long to knit. It's called the Step it up shawl and can be found on Ravelry here. 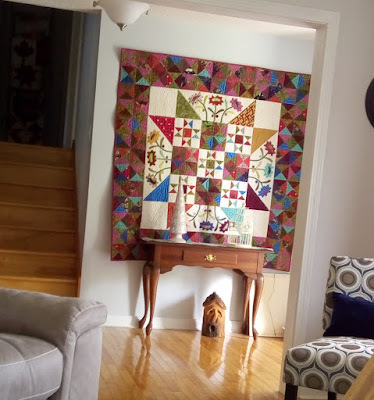 I made this Late Bloomers quilt while in Florida this past winter. When we came home, I took it to Andrea to freehand quilt it on her longarm. It's just perfect to replace my winter quilt in the foyer. Look at the first photo above. See my Winter Wonderland quilt in the background. This space is a perfect place for a 60" wide quilt. I have a fall quilt in the works.. Your quilts both look great in that spot. Equally, your new scarves look great on you! Love love the one Michelle has woven for you!